When parents are in the midst of struggling with a troubled teenager, it can be hard to imagine that anything will change. 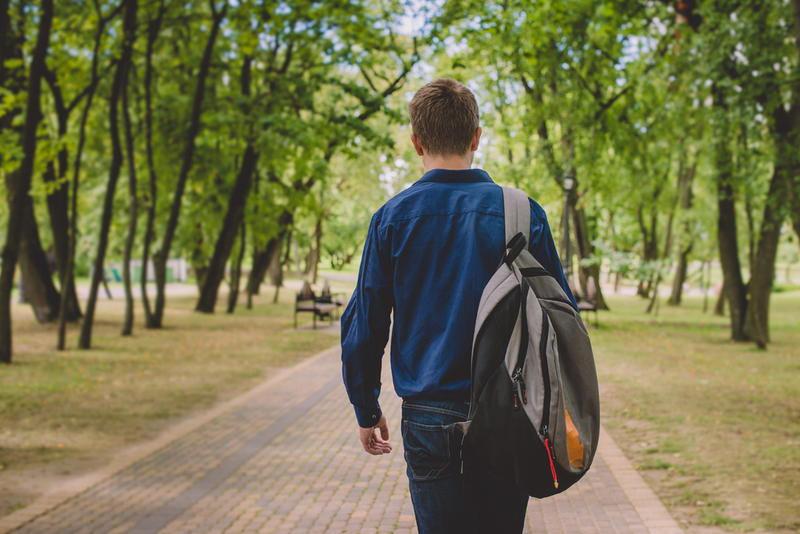 Here at Liahona Treatment Center, we assist many troubled boys to grow into successful young men who managed to turn their lives around, and we wanted to share the stories of two of these teens’ stories to give hope to all the parents hoping for change. John had enjoyed a good childhood in Michigan, but when his family moved to Idaho when he was in seventh grade, he began to become involved with the wrong crowd. In an attempt to feel special and to find his place in the world, John started to fight with his parents, lie, sneak out of the house, physically fighting with his father, skip school, and began abusing illegal substances. John kept chasing the high and was sent to live with various family members to try and distance him from the people who were drawing him down negative paths. In a last ditch effort to save John, his parents sent him to Liahona Treatment Center for his senior year of school. When he first came to Liahona, John said he resented being there and was upset with his family for sending him away. But as he progressed through the program, John began to change. With the help of his therapist and the other staff members, John’s focus moved from himself to supporting others and loving his family. He was able to finally recognize the sacrifices they had made for him, and John began to help other students learn what he has learned. The John who went home to his family was not the same boy who entered Liahona Treatment Center, and he never wanted to be that troubled teen again. Before Connor even reached high school, he became involved with a group of older kids who influenced him into joining in with their criminal activities and substance abuse. Connor tried to use sports to escape the path he was following, but when he blew out his knee his sophomore year, he fell into depression and began to use drugs heavily to escape. After being kicked out of several schools and continuing to abuse drugs, Connor’s parents decided it was time to send him to a therapeutic boarding school and chose Liahona Treatment Center. While Connor was not happy to be in our program, he decided to go with the flow and avoid trouble so he could go home early. But, by working with his assigned therapist, staff members and the other students attending, Connor surprised himself by finding he was becoming happier. Once he realized that he could change, Connor opened his heart to the transformative process we encourage here at Liahona. He learned to study and focus during his classes, discovered healthy new coping methods, and built strong bonds with others. All these skills and others, John was able to take home with him as he reunited with his family. If you have exhausted your resources and your teenage son has still not been able to change his life, contact us. We are happy to answer any questions you have about our program and see if Liahona Treatment Center is the right fit for your loved one.